In this constantly updated guide, we will help you choose the best gaming mouse for left-handed people, offering you the best models currently available on the market. Furthermore, we will analyze some aspects and some characteristics that strongly influence the choice of this type of accessories. Choosing a gaming mouse is not a simple task, especially if you are a left-handed person. Most mice in this category are designed exclusively for right-handed users. However, many companies have also created ambidextrous solutions to meet the needs of left-handed people. It is important to evaluate some fundamental aspects when choosing a peripheral of this type. First of all, it is necessary to analyze the sensor inside the mouse. A mouse can be equipped with an optical sensor or a laser sensor. We advise you to opt for the optical solution, as this type of mice is more precise than their brothers with laser sensors. Another aspect to be evaluated is the range of PPE values. You will hardly use very high sensitivities in the game. However, it can be very useful to change the PPE value and adapt it to suit your needs. A good mouse must also be able to guarantee excellent ergonomics, so as not to strain the hand even after several hours of play. On the market, there are various models with shapes designed specifically for left-handed people. However, the models, specifically dedicated to left-handed people currently available are not of good quality. For this reason, we have included the best ambidextrous models in our selection. Furthermore, a gaming oriented mouse must necessarily be equipped with programmable buttons as desired. Of course, there are also models with secondary details, such as RGB gaming mice. If you want to go deeper into all the aspects to consider when buying such a product, we recommend that you consult our guides dedicated to gaming mice. After analyzing the aspects and characteristics to be taken into consideration, we propose our selection of the best gaming mouse for left-handed people currently available on the market. 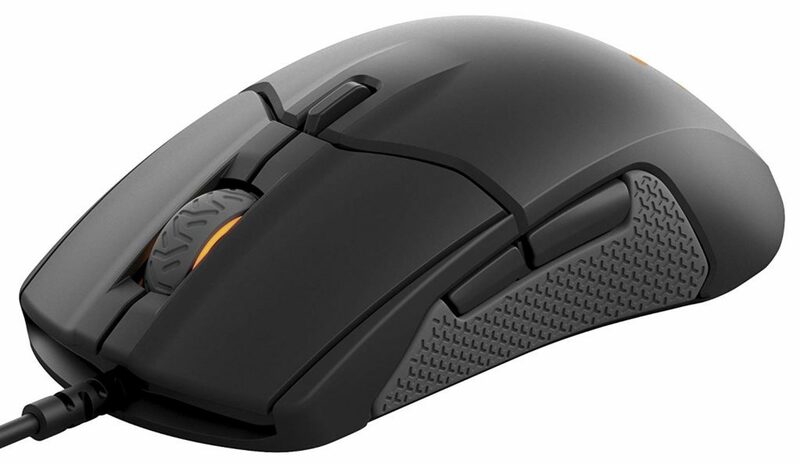 We start our selection with a mid-budget range mouse from SteelSeries. The Sensei 310 is a mouse designed for both right-handed and left-handed users. The optical sensor allows you to reach a maximum of 12,000 DPI. It has an excellent build quality, a peculiar aspect of the company. It has two programmable buttons on both the right and left sides, for a total of 4 side buttons. The two side parts are characterized by a rubber part with a weft that helps to improve the grip. 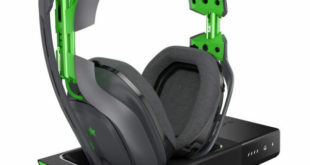 There is also RGB lighting that can be customized using the SteelSeries software. This left-handed gaming mouse is one of the latest models made by Razer. It mounts a 5G laser sensor, characterized by tracking of well 16,000 DPI and a polling rate of 1,000 Hz. The Razer Lancehead is equipped with high-quality mechanical keys, made by the company itself, which offer unrivaled durability. The PPE values ​​can be changed at will using the 2 buttons under the central wheel. Moreover, it is equipped with 2 programmable keys placed on each side, for a total of 4 keys. 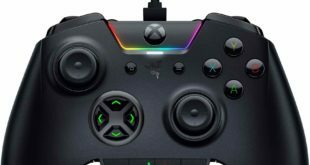 There is also the inevitable Chroma RGB lighting that can be customized using the Razer software. You can also buy it on Bhphotovideo store. This is a high-end Logitech gaming mouse. This G900 Chaos Spectrum is a model characterized by ergonomics that allows it to be used even by left-handed people. It is a wireless gaming mouse that can also be used via the supplied cable. Needless to say, its specifications are at the top thanks to adjustable DPI (from 200 to 12,000 DPI), optical sensor and 1-millisecond refresh rate. The built-in battery allows you to use 32 hours. You can recharge it using the cable that comes with it. It features two programmable buttons on both the left and right sides. Obviously, you can’t miss the RGB lighting that can be totally customized using the dedicated software. 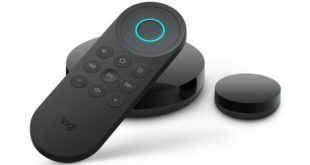 This Logitech G903 is very similar to the model seen above. This product is one of the best gaming mice for left-handed people you can buy and is equipped with the PMW3366 optical sensor, which offers smooth, filters, acceleration and speeds of over 400 IPS. It is also a wireless mouse, but thanks to the 1 ms refresh rate you won’t have any lag or delay problems. Inside the mouse, there is a weight of 10 grams which can be easily removed to adapt the weight of the mouse to your needs. This product has two side buttons on both the right and left sides. You can also buy it on Bhphotovideo store. At the end of our selection, we advise you to consult the following list of the top 10 best selling gaming mouse of the moment on Amazon. The list is constantly updated by the store itself. Focus on gamers: this professional gaming mouse comes with a built-in 16400 DPI, 12000 FPS, 1000 Hz polling rate, 30G acceleration, 100-150in/s cursor speed, and an Avago sensor. Omron micro switches provide crisp, firm clicks. 18 programmable mouse buttons, 5 custom profiles each with multi distinct LED RGB light color for quick identification, an 8-piece weight tuning set (2.4g x8), and over 16 million LED RGB color options. The LED breathing light may be disabled as per your preference. Durable smooth TEFLON feet pads and contour body for ultimate gaming control. 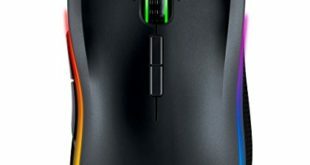 High-end features reflected in the 19 mouse buttons including the power button, 12 side buttons and the breathing light in 5 RGB colors backlit modes. Ergonomic Right-Handed design with frosted painting surface that can keep your grip firm during gameplay. 6ft braided-fiber cable with gold-plated USB connector ensures greater durability. Special Setting Switch Button on the back side of the wired gaming mouse let you take command with maximum efficiency; 18-Month Manufacturer's Warranty.